Andrei Konchalovsky, whose extraordinary film career spans five decades, is one of the most prominent figures in Russian cinema and public life. This year he is celebrating his 75th birthday and retrospectives of his films are running all over Russia as well as outside of it. The UK has seen a number of these in London already, including the recent screenings of his films at The Russian Film Festival and Rossotrudnichestvo. However this is far from the end of it as Konchalovsky will be travelling to the UK this month and the celebration of his incredible career will continue around the country, including the retrospectives at the Leeds International Film Festival and in Edinburgh. Oxford will see its own Andrei Konchalovsky season, which I am organising together with the Oxford University Russian Society and arts.spc. The director’s life and career are nothing short of remarkable. He was born into the closest thing the post-Revolutionary Russia had to aristocracy. His mother, Natalia Konchalovskaya, was the great granddaughter of Vasily Surikov and the daughter of Pyotr Konchalovsky, both great Russian artists. His father, Sergey Mikhalkov, was the biggest name in Soviet children’s literature, the establishment’s favourite and the author of both the lyrics to the Soviet national anthem and the current Russian one. Andrei’s brother is, of course, Nikita Mikhalkov, a name equally big and resounding in Russian cinema, culture, and public life. 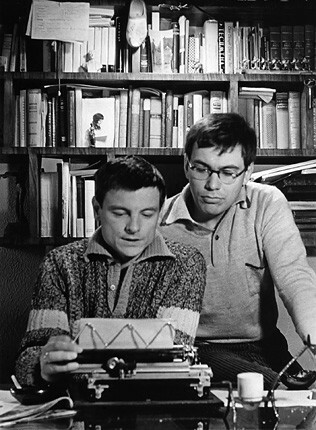 Konchalovsky graduated from Soviet film school VGIK in 1965, but by that point he had already collaborated on writing several times with the great Andrei Tarkovsky, including the scripts for Ivan’s Childhood and Andrei Rublev. His debut full-length feature was the superbly crafted, gorgeously photographed and poignant The First Teacher (1965), which received silver at the Venice Film Festival. I consider his second film, Asya’s Happiness (1967), to be one of the greatest Russian films of all time (the film’s eponymous protagonist has just topped my recent list of the best female characters in Russian cinema) due to its perfect combination and balance of innovative narrative technique, stunning cinematography and emotional weight, all of which work together harmoniously to create a true work of art. 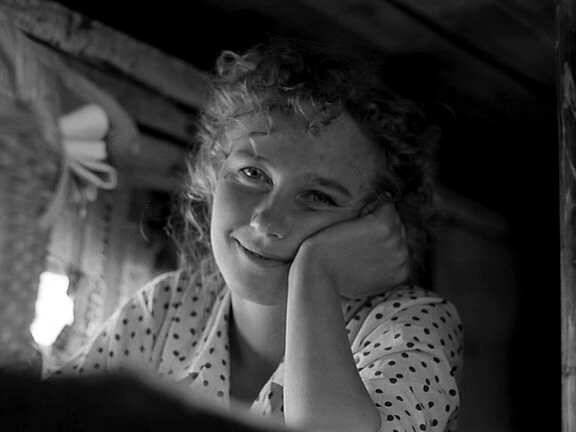 The film was shelved by the Soviet censorship after only a few screenings, because its depiction of rural Russia was as far from the officially-approved Socialist Realism as it could be. 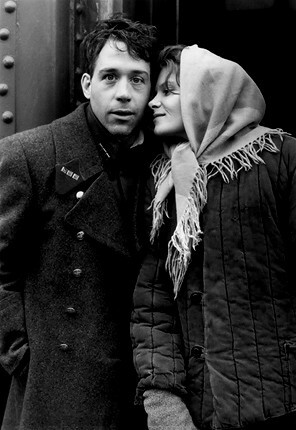 Konchalovsky then went on to make two literary adapations which received very high acclaim: A Nest of Gentlefolk (1969) and Uncle Vanya (1970). Woody Allen has famously called the latter ‘the best Vanya’ he had ever seen. 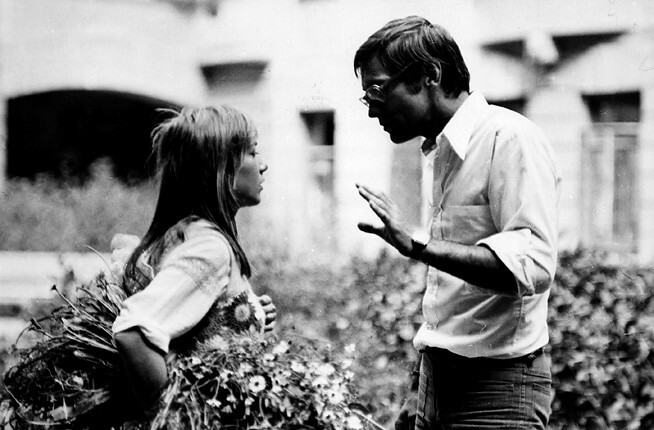 In the 1970’s Konchalovsky made a number of superb films, including the unfairly underrated and innovative musical A Lover’s Romance, which had the misfortune of coming out aroud the same as Tarkovsky’s Mirror and hence was forever doomed to be considered an inferior work by Tarkovsky’s former collaborator. The fact that the two films are of completely genres trying to achieve two completely different things was tragically overlooked. Konchalovsky’s other notable film of the 1970’s is, of course, Siberiade (1979) a fascinating Russian epic and a family saga starring his brother Nikita. 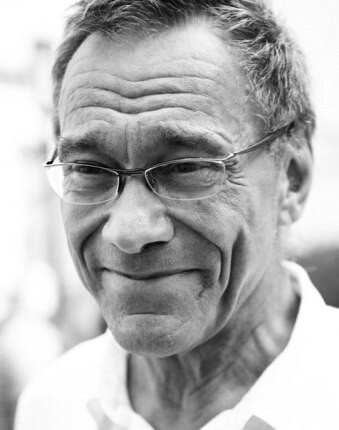 By this point Konchalovsky was one of the most notable and acclaimed Soviet directors. However, in the 1980’s he did something that no other Russian filmmaker has been able to achieve. He moved to Hollywood and made his name there as the director of such films as Maria’s Lovers (1984), Tango and Cash (1989) and Runaway Train (1985), undoubtedly his best American film. A lot can be and has been said about Konchalovsky’s artistic development during that time and how it affected his work after his return to Russia in the 1990’s. The quality of his films has certainly varied over those years. It is, however, very difficult not to admire the director’s bold decision to move to Hollywood, his survival there and his determination to always move forward artistically. It is because of this latter quality that his cinematic legacy is astounding in its range of genre, technique, and general approach to the questions of “what is cinema?” and “what is it for?”. His most notable films of the 1990’s and 2000’s, the years during which he worked both in Russia and in the West, are The Inner Circle (1991), a look at the Stalinist terror from the point of view of a ‘little man’, Stalin’s personal film projectionist Ivan; a TV adaptation of The Odyssey; and the 2002 film House of Fools, a social satire of modern Russia set in a psychiatric hospital in the middle of war-ridden Chechnya. Andrei Konchalovksy is a director of many faces, whose career in film is unparalled in its diversity and whose life experienes make for a fascinating and sometimes unbelievable story. For our retrospective we have chosen five films, one for each decade of the director’s remarkable career, in order to showcase his incredibly wide artistic and thematic range. On 19 November Konchalovsky will give a talk at the Nissan Theatre, St Antony’s College, Oxford, which will start at 7pm and will be immediately followed by the screening of House of Fools. This event is free and open to all. All of these screenings will be held in the Miles Room, St Peter’s College, and will start at 7.30pm. This post has also been published on Russian Art and Culture.